When I was young, there was a cut of dress that had been around for about 50 year or so. People wore them. You saw them in old pictures. They were popular in a longer form during the Edwardian period. I saw them in real life. I saw them in photographs. I saw them on TV. It was a dress that often had a yoked top or perhaps a sailor color with slightly raised arms at the shoulders, often in plaid. And I cannot find ONE good picture of them online. I thought you could find ANYTHING online. It could be my that my Google Fu is weak. I've looked regularly over a period of two years. Spring and fall. I've tried all sorts of words. Still, I keep hoping there's a word out there that I haven't thought to use that would be the key. I can find pictures of dresses from Disney's Avonlea TV show that would be great…just about what I wanted…if I could see them. But the character is always holding a book in front of the dress. 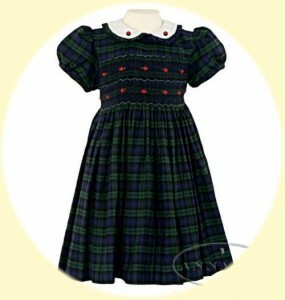 The really weird thing is: they still make dresses like that for little girls. Party dresses and Christmas dresses, made along the same lines. I can find pictures of those…but I cannot find any of the adult version. When I was young, we girls wanted to wear those pretty party dresses because they were an indication of what we would dress like when we grew up. They were the little versions of what our parents and grandparents wore. It is odd to have the little version still around…and not be able to find a single good picture of the adult ones.